Waking up to find the ground covered in nearly a foot of snow can be surprising. Stepping out into the frigid tundra to find you can't get your snow blower started is downright infuriating. If you don't keep your snow blower stored in a heated garage, there's at least one extra step to take. 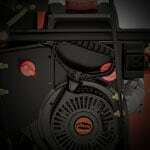 Follow the steps below to get your snow blower fired-up and running with less frustration. If your snow blower is cold, you'll want to pull out or turn on the choke while you're starting it. This closes off the air supply to your carburetor, which makes for a much richer fuel mixture. If your snow blower is stored in a heated garage and is warm enough, you should not use the choke. Once you're finished starting it, you'll want to turn off the choke to reopen the air supply to the carburetor. Turn your throttle from the turtle symbol to the rabbit symbol. This is the fast position. When operating your snow blower, you should always have the throttle in the fast position. Running your snow blower at full-throttle will provide better fuel-burning efficiency and better performance. 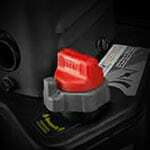 When storing your snow blower, you should always have the fuel shutoff valve turned to the closed/off position. This will help reduce any chance of fuel leakage. However, your engine will need fuel to run, right? If it's been sitting a while, now's also a good time to drain the gas tank and refill it with some fresh fuel. 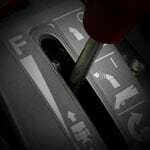 Turn the fuel shutoff valve to the open/on position to start the engine, and leave it open until you're done. 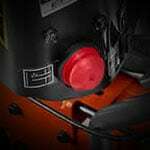 When you are ready to start your snow blower, switch the run/rocker switch to "RUN." This will engage the ignition system so you can start the engine. When you're finished snow blowing, switch this back to the "STOP" position to prevent any accidental starts. 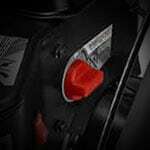 Chances are, your snow blower will come equipped with a safety ignition key. It's an added safety feature. 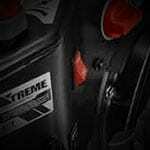 To be able to start your snow blower, you must have the safety key inserted. If you run over something and must stop immediately, you can pull the key and the engine will stop. Be sure the key is inserted prior to pressing your primer bulb. 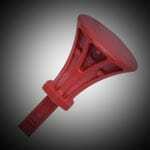 Unless your snow blower was just recently running, you will need to press your primer bulb a few times. This little device pumps a bit of fuel into the carburetor for an easier start. Refer to your user manual or consult your manufacturer for specific instructions, but pressing it 2-3 times should do the trick. How you start your snow blower will depend upon whether it's a recoil start or an electric start model. Recoil start snow blowers feature a standard pull-start. Pull the rope out slowly until you feel resistance from the recoil, then give it a quick, hard pull to get the engine started. Electric start snow blowers plug into an extension cord. Once plugged in, push the small button near the plug until it starts, then unplug the cord and you're good to go. Some models have an automotive-style ignition, which starts like a car or truck. Just turn the key and clear some snow. Starting a Gas Snow Blower - Cold or Warm.. Our Power Equipment Direct how-to library can help you learn about Top-Rated & Best-Selling Three-Stage Snowblowers, Farmers Almanac Winter Weather Predictions and Proposition 65 Product Labeling.